Google has announced a brand new Google tablet which is a flagship device that has attained the best cosmetic refresh. The new nexus 7 perfectly matches its predecessors and its front face and standard black styling would surely impress the minds of people. The original nexus 7 tablet form Google has been anticipated to do excellent in the tablet market though it would need to feature slight compromises. The tablet has remained with an outstanding value for a long time for its cheap and comfortable price. Though the competition has been fierce in the tablet market, the nexus 7 still does excellent in the tablet market. These nexus devices are synonymous with most of the pure Google experiences and this would be the best chance to offer the android device in its purest form, though it has to compete with HTC and Samsung devices in the market. Though the nexus 7 does not come with a brand new operating system in it, the original launch with the Android 4.3 jelly bean version. Google has kept the release of the device pretty parochial and launched the device originally in the US and then in Canada. It has to be admitted that the Nexus 7 aims for the sweet spot and the price of the gadget has bumped up from 159 pounds to 199 pounds for the 16 GB model, though their specs are pretty similar. 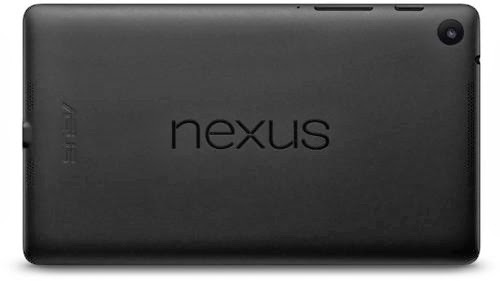 The original nexus 7 features to be a medium level device and the nexus 7 looks more like a premium slab. The device is expected to be available only in 16 or 32 GB versions at its initial launch and the 32 GB version of the gadget is expected to be priced at about 240 pounds. This high powered and technically competent 7 inch tablet has been offered with some of the most high end features and is available at a very reasonable price. The new version of the device would have the same name and is offered with an enhanced screen, processor, camera etc. let us discuss the technical specifications of the device in detail here. The brand new gadget shares the same features as its predecessors and a closer inspection of the device would feature it to be a slightly bigger gadget with smooth and rubberized plastic to offer a more textured finish and grippe finish of the original gadget. The device would feature a 7 inch screen and has the best upgrade to brag an HD screen with a resolution of 1920x1200 pixels and a pixel density of 323 ppi. This is strikingly sharp and bright indeed and helps users with excellent contrast when they are out in the sun. The colors of the gadget are accurate and rich and do not offer the exuberant vibrancy that are available for other AMOLED screen gadgets. 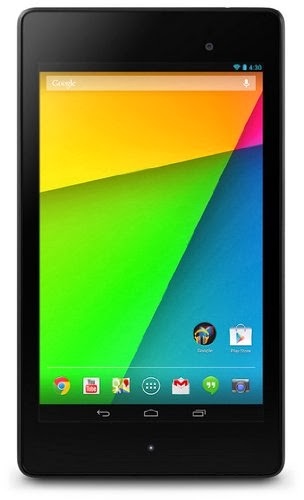 This new Nexus 7 features an Android 4.3 jelly bean version and offers very minor changes compared with its predecessor. This would surely involve the ability to set up different profiles with different access in the gadgets and it is possible for people to create a child friendly account such as an account with limited internet access etc. the device also many added sensors such as Bluetooth support. There is also good support for wireless charging and Google works best with a Qi compatible charger as well. The device is enabled with a Qualcomm S4 pro processor and snapdragon chipset that has been clocked at a processing speed of 1.5 GHz and its RAM support has been beefed from 1GB to 2 GB with the current version of the device. With this processing speed, the device feels pretty fast and would surely compete with other high end gadgets such as LG and Sony Xperia in the mobile market. The device features a 5 megapixel rear camera, most apt for image capturing and video recording features and also has a 1.2 megapixel front camera to best suit for video calls. Its autofocus features enable users to take quality and reasonable snaps and it is available in only 16 GB and 32 GB versions and there is no room to extend the memory any further. The battery is held up pretty well for the device and easily withstands steady use for a complete day. The device features a non removable battery that is powered by Lithium ion and could easily offer a talk time of 10 hours. The battery of the device surely takes a stance and is clocked at 3950 mAh. This battery manages the android 4.3 version gadget pretty well and it is far better than the original Nexus 7 gadget. The device is thinner and lighter than its predecessors and its average dimension are 200x114x8.7 mm and the gadget weighs roughly about 290 grams. The slight rise in the height of the gadget is indeed negligible with practice. It is true that the gadget could be held completely in one’s palm, but the task could be a little tiring and not particularly comfortable. Otherwise the gadget has to be held like a giant phone. One ambient feature of the gadget is its speakers and stereo system located at the top and bottom end of the device. The Google play store has been selling a new folio case for the new Nexus 7 tablet and the case is made of a combination of polycarbonate and elastomer. The new Google Nexus 7 would beef up the original specification of the device with an impressive high definition screen, a very powerful processor and a brand new camera of high resolution, while it still keeps its price low. Though the gadgets from its competitor’s costs a little less, Nexus would still beat them on the features and would surely offer the best value for the money, compared with most of the top phablets in the market.